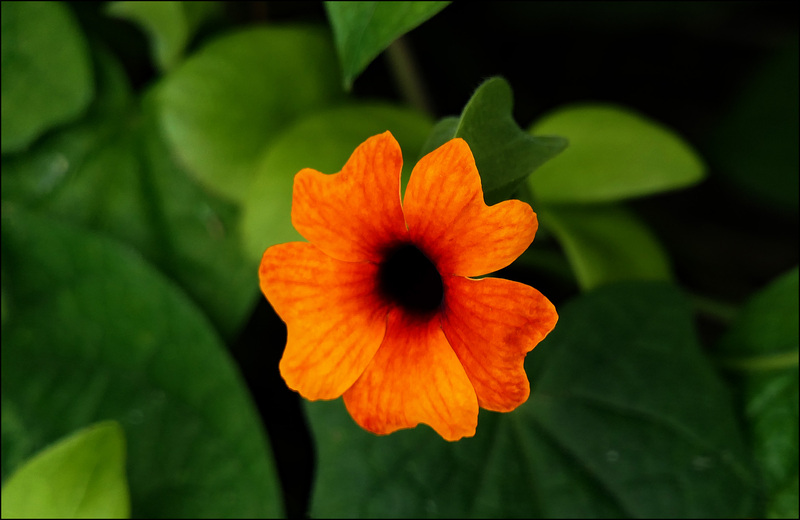 This is a common black-eyed Susan vine. The peculiar thing about it is that it looks fake. If I didn’t know better, I’d guess that it was a paper or silk flower. But it’s not. It’s a real thunbergia alata, used as ground cover all around my neighborhood. Enjoy.